Wiki Loves Monuments is an international photo contest for monuments running this September, organized by Wikimedia globally, as well as FLOSSK in Kosovo and Open Labs Albania. Cultural heritage is an important part of the knowledge that Wikipedia collects and disseminates. Everybody can contribute images as well as write articles. An image is worth a thousand words, in all languages at once, and enthusiastic people can (re)discover the cultural, historic, and scientific significance of their neighborhoods by uploading photos to Wikimedia. Every little bit counts, and your bits certainly gave us more than a byte. Prishtina Hackerspace is your success, as much as it is ours now. Thanks to people’s generous support on Kickstarter, Prishtina Hackerspace now has the necessary means to have a sustained impact and be the source of even more community-based innovative projects. We managed to reach the aimed goal of $15,000 in funding, and we ended up with a total of ~$ 17,000 of funding. “I am what I am because of who we all are” says the Ubuntu philosophy from a Southern African region, which is based on the belief in a universal bond of sharing that connects all humanity. That’s how Free and Open Source communities try to function globally. I’ve been a community guy since the age of 14. That was when I started my professional journey, and that was also when I joined Kosovo’s tech community. Being a part of this community has led me to ask some questions: How can my work impact the community around me, and how can communities change societies? Some of you may know me as a FLOSS and GNU/Linux enthusiast and activist since late 2009 (when I was 14) and that dealing with Free and Open Source software was always a natural outcome of my dedication and willingness to expand my knowledge and learn more about FLOSS ideology and the awesome community behind it. You may know me as Altin, the FLOSSK guy that has been working together with his friends the last years on promoting, developing and translating Free/Libre and Open Source Software in his lovely small country – Kosovo. But this time the story takes place in Louisville, Kentucky.The city that I came in as an exchange student from Kosovo. During my stay in a completely new environment with different culture, different language, different mentality, and knowing nobody, I managed to put a team together to organize the first (and looking to be very successful) Open Source Software Conference in Kentucky – MOSSCon (Midwest Open Source Software Conference). Being still an High School student with a limited amount of time, MOSSCon is a challenge that was worth starting it and it is something that I will always be proud of. I am happy to have initiated and leaded this conference and I am even happier to have met all these awesome people that taught me these important steps for my career. I am glad that after I leave this country, someone will remember me of doing a good thing and I will remember that I left something good behind. A group of people that I will never forget, a group of people that will continue organizing an awesome annual conference about Free and Open Source Software in Kentucky. MOSSCon in now on the process of being a registered 5o1[c]3, we already formed the board of directors and we are almost done with the papers and all that… I’d like to point out here something that is very important about it and motivated me even more, something that I never expected to happen, especially (in US) at this time and at this age; The board members elected me as the “board president”. This is not over yet, the most important part of it is yet to come, and we’ll see the results on May 18th. There is still lots of work to do! Weeks ago I got an invitation to see a CyberDefence competition in one of the classes in University of Louisville – Speed School (Computer Science department). I would easily compare it by the size of one of the biggest neighbourhoods in Prishtina. I was very excited to see students practising their knowledge in that field… Just being in an environment where people do stuff that I love and do best was inspiring and very motivational for me at the same time. I am enjoying my time here so much. I especially enjoy the fact that there are lots of tech places where I can hang out.. (One of them: LVL1 Hackerspace). I have also been actively involved with some communities since I came here. I helped the organizing team of louisville.startupweekend.org, I attend LVL1 Hackerspace meetings and I also got involved in KYOSS (Kentucky Open Source Society). Some 2 weeks ago, I attended the KYOSS monthly meeting which was held at LVL1. While everyone introduced themselves, I met a guy there called Alex (Alex Hagerman) who was also a Mozilla contributor, probably the only one in town. Days before that, I was searching the Internet to see if there was a Mozilla community in Louisville, but couldn’t find anything. 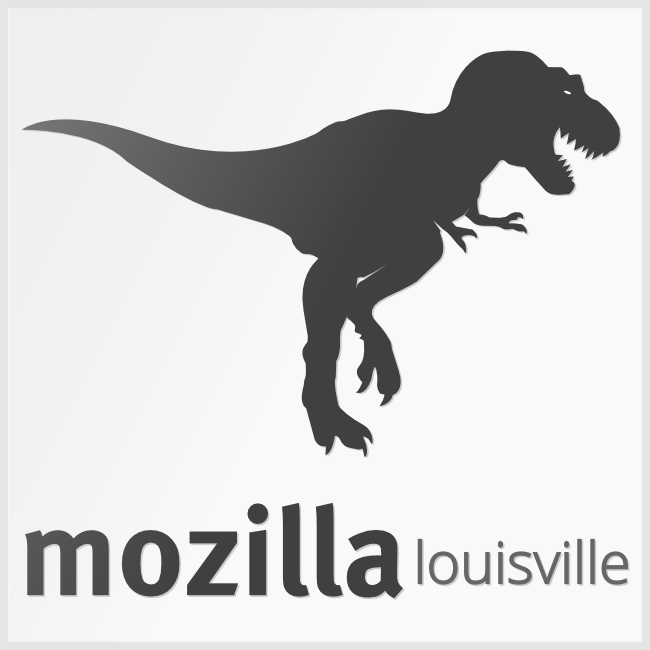 While I was talking with Alex during the meeting, I stated that and suddenly we came up with the idea of starting Mozilla Louisville Community. One of my mentors who I consider him as my teacher, friend and colleague (James Michael Dupont) wrote an email which was very inspiring for me to start writing this blog (mostly pasting what he wrote), and it was about Sharing and the importance of it. What could other people benefit from the experience you share with them and what could they learn from that ?! As the old quote stands: “If you give a man a fish, you feed him for a day but if you teach him how to fish, you feed him for his entire life”. Lots of things today are achieved by sharing knowledge with people around you, ideas are free to copy and that doesn’t cost you anything if you write them down and put them on-line, share them on Internet and in this way contribute together with other people to make the world a better place to live in. Finding answers to problems today is very easy, you’ll only have to Google them and you’ll find pretty much everything you want. Why is it that you find the answer of your problem in Google ? Because someone somewhere spent his time writing a blog or an article and shared his knowledge on solving the problem and he din’t help only you, but he might have been helping thousands of other people who had the same problem.